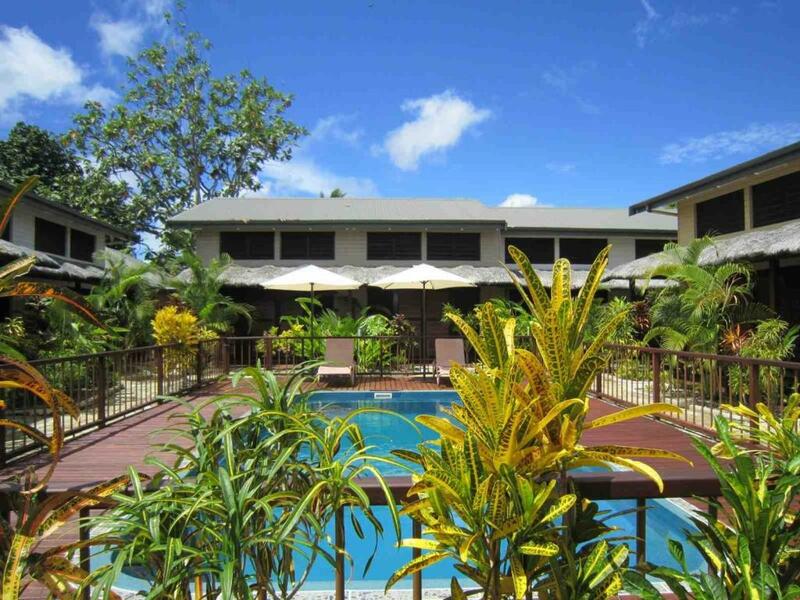 Village de Santo Resort is located a short drive from the town centre of Luganville set between Mango Village and Town beach. 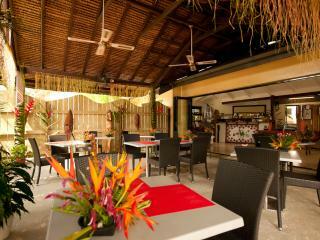 This Vanuatu accommodation is tucked away behind a bamboo fence and surrounded by tropical gardens. 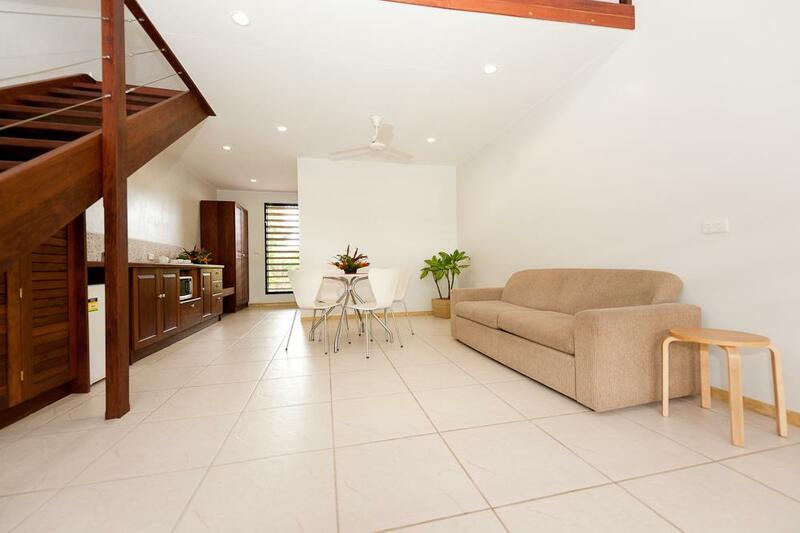 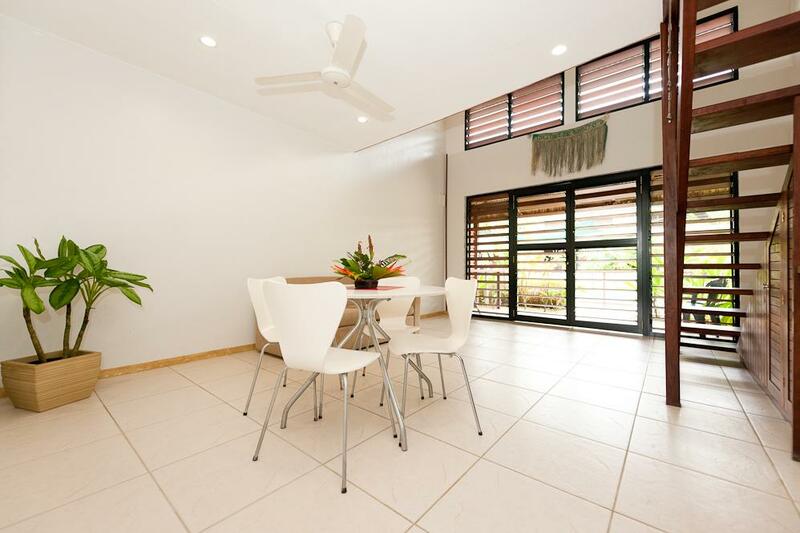 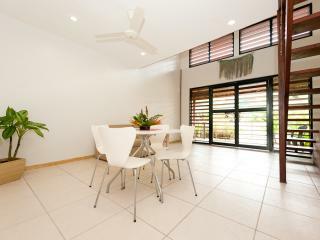 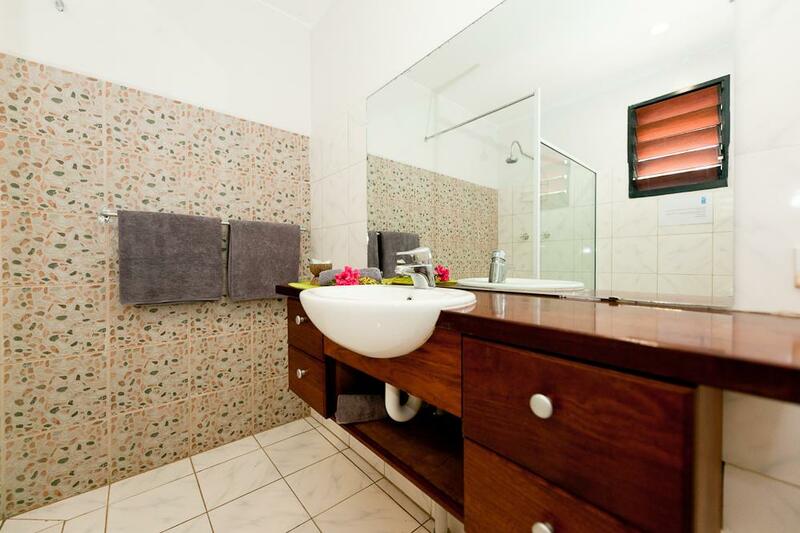 The property features 18 modern semi self contained apartments that over look the swimming pool, perfect for families, couples, a group of friends or business travellers to the Santo area. 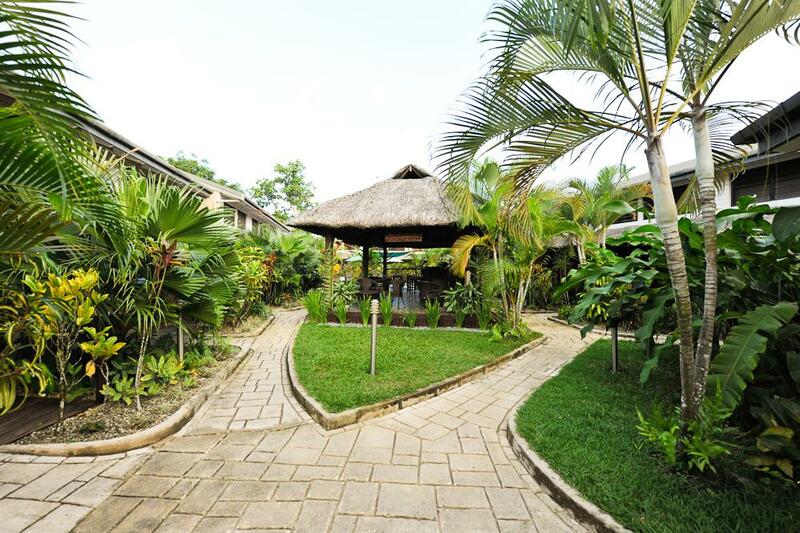 The facilities at Village de Santo Resort include Restaurant 1606, Castilian Bar, Chiefs Bar, swimming pool and WiFi internet. 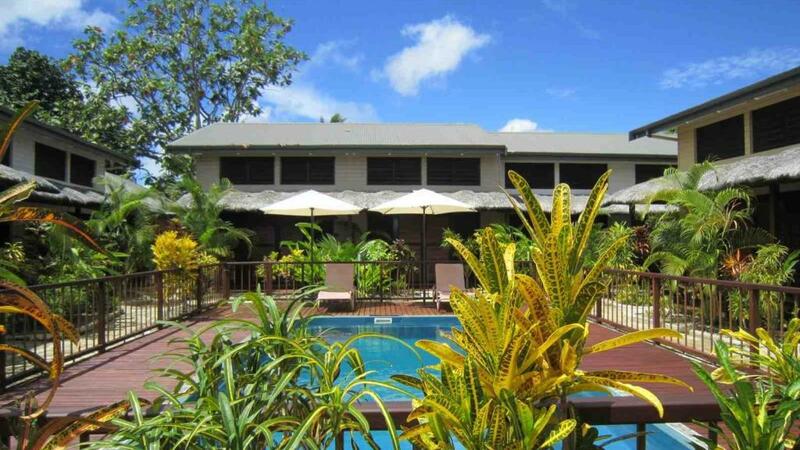 Santo is the perfect holiday location in Vanuatu for stepping back in time and exploring the beautiful surrounds, take some time to visit Champagne Beach, trek to the Millennium Caves, canoe over the stunning Blue holes, snorkel in the pristine waters, dive at many wrecks including the President Coolidge and Million Dollar Point. 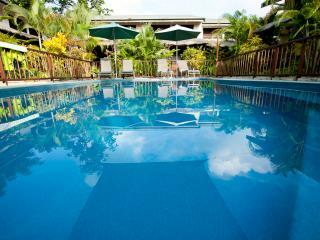 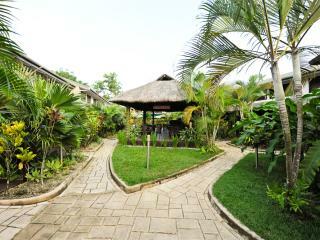 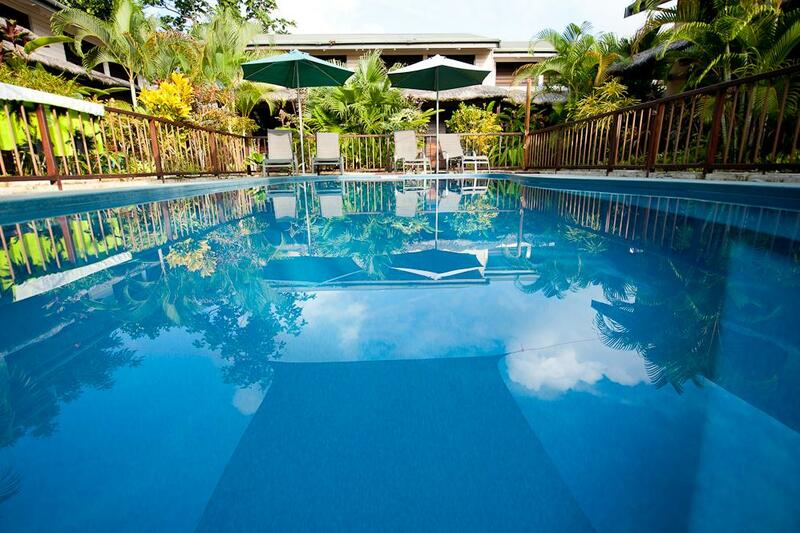 For your next holiday to Santo why not try Village de Santo Resort. 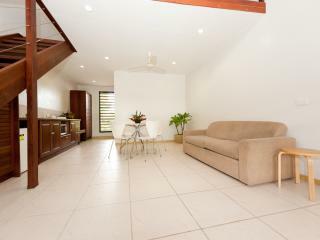 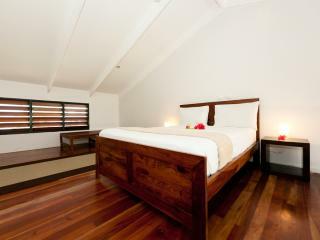 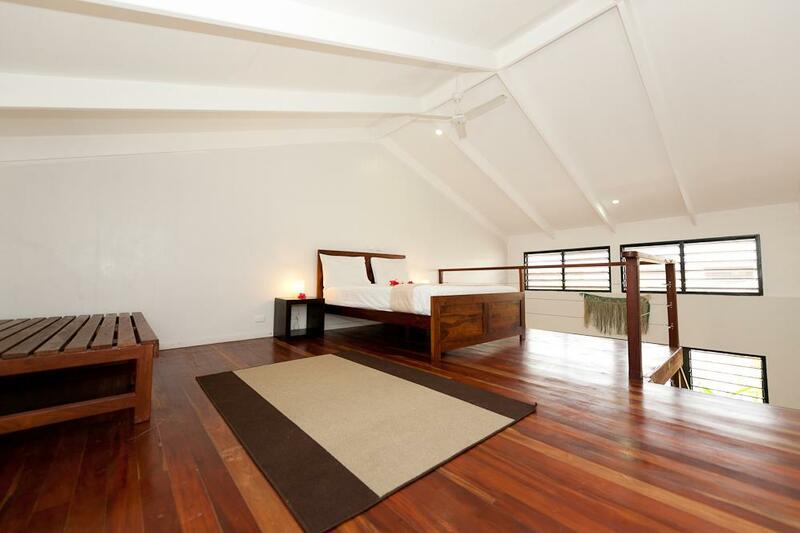 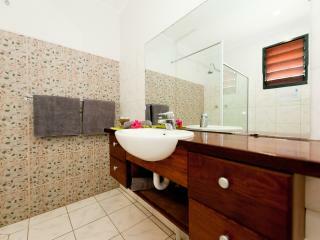 The rooms at Village de Santo Resort are modern and spacious, perfect for relaxing in after a day discovering Santo. 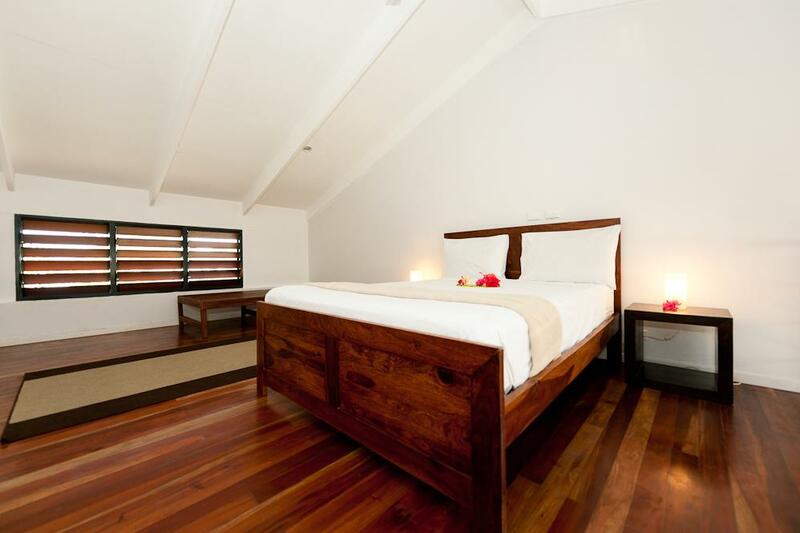 Deluxe Village Suite: Bedding is 1 Queen Bed + 1 Double Sofa Bed. 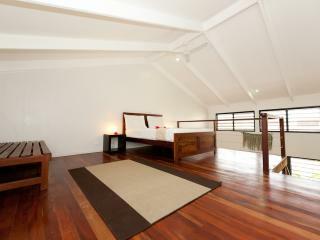 Maximum room capacity is 4 Adults OR 2 Adults & 3 Children. 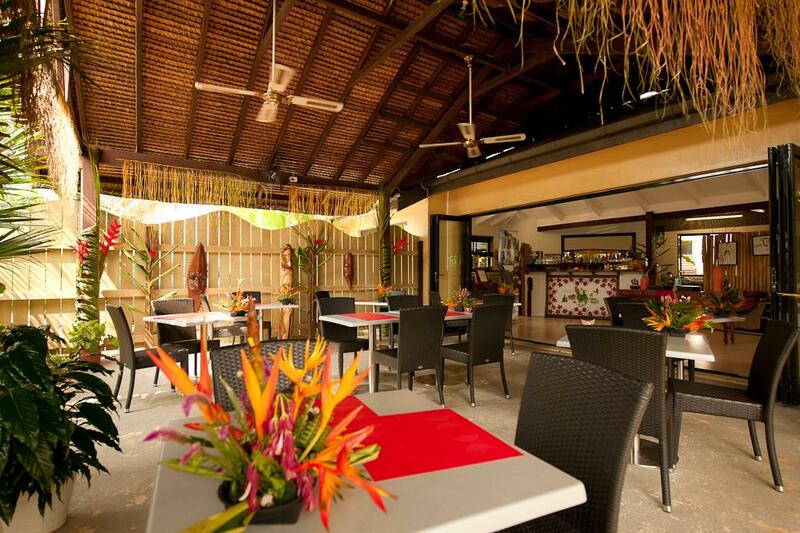 Restaurant 1606: Open daily from 7.30 am til late for modern cuisine with a tropical twist. 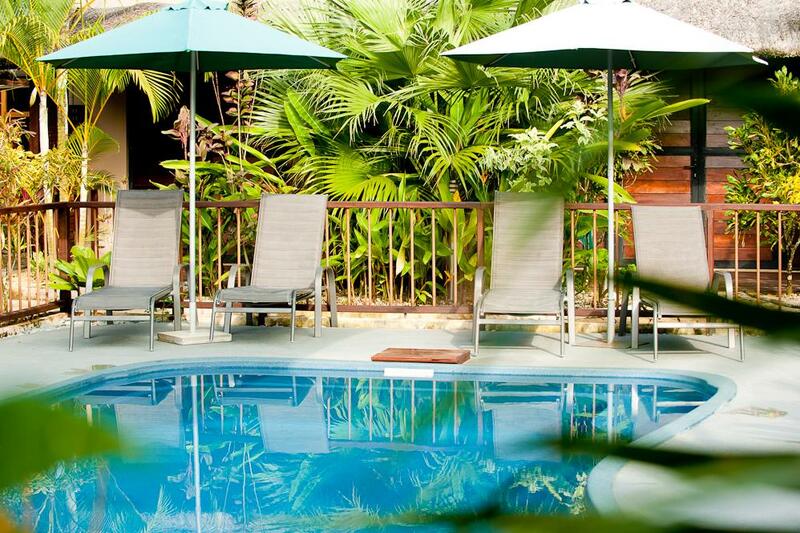 Bar de Quiros: Relax with a cold beer, fine wine or tropical cocktail and enjoy happy hour Friday night between 5.00 pm and 7.00 pm. 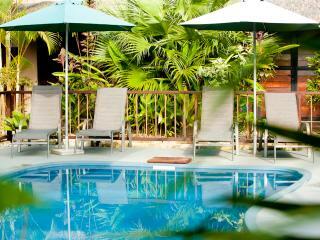 Chiefs Outdoor Bar: Located poolside, guests can relax and enjoy a drink while watching the kids swim.